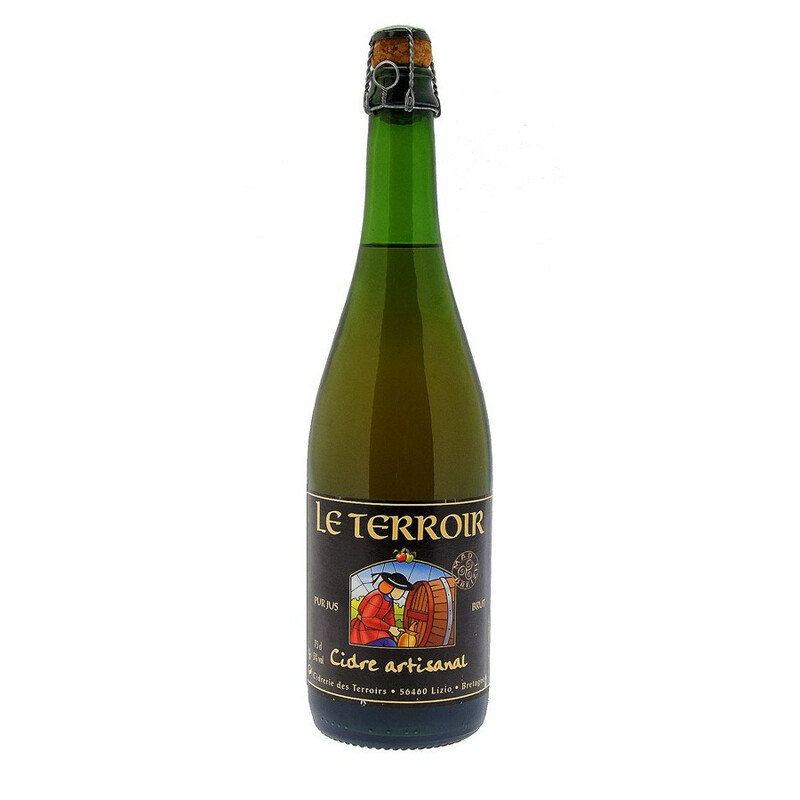 A traditional, sparkling and refreshing hard cider produced by the Terroir Cider Makers in Lizio. Cider was already brewed by Ancient populations. Produced in Lizio, Britanny, this craft Breton cider has been brewed from cider apples in Morbihan. This 5° hard cider is made from pure juice, and results in a mellow, fruity and perfumed drink, with a touch of bitterness and tanginess. This golden sparkling cider may be enjoyed at any time of the day and is perfect paired with crepes and Breton galettes.